hree ships were prepared, including the Gabriel and the Michael from the first voyage. 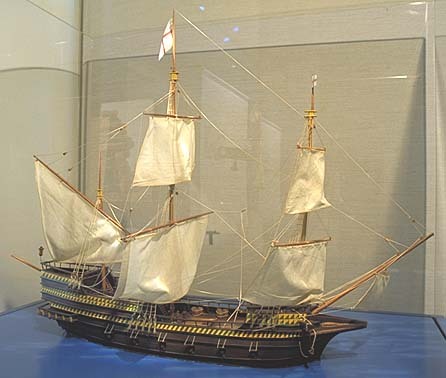 The flagship was the much larger Aid, with a crew of more than 100 mariners, soldiers and gentlemen. 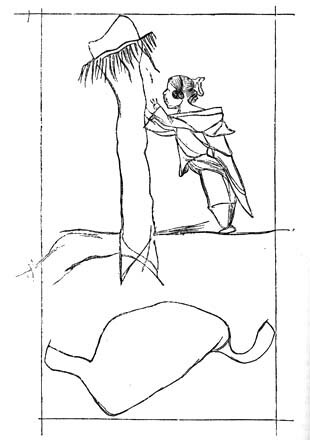 The small fleet set off on May 31 and sailed through calms and occasional storms, making an exact landfall on July 17 at the small island where they had first landed the previous summer, and where they had picked up the famous black stone. Frobisher's first duty was to claim the newly discovered country and its hidden riches for England. By raising a cross and claiming the land in the name of God and their monarch, Christian Europeans of the time considered that they had legitimized their claim to the ownership of the homelands of non-Christian peoples. 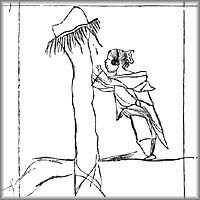 Frobisher undertook this ritual on the summit of a prominent hill which he named "Mount Warwick", located at the northeastern entrance to Frobisher Bay. 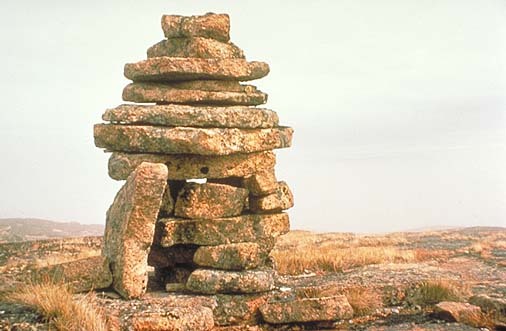 This cairn now stands on top of a high hill on Loks Land at the northern entrance to Frobisher Bay. It is relatively modern, but may have been rebuilt from the stones of Frobisher's cairn. 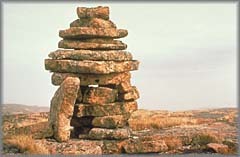 This is a representation of a monument erected by Frobisher's men on Baffin Island. The Inuit left gifts here to ensure a good hunt. "...on Friday the ninteenth of July in the morning earely, with his best companie of Gentlemen and souldioures, to the number of fortie persons, went on shoare....And leauing his boats here with sufficient guarde, passed vp into the countrey about two Englishe miles, and recouered the toppe of a highe hill, on the top whereof our men made a Columne or Crosse of stones heaped vppe of a good heigth togither in good sorte, and solempnely sounded a Trumpet, and said certaine prayers, kneeling aboute the Ancient, and honoured the place by the name of Mount Warwicke...This done, we retired our companies, not seeing any thing here worth further discourie, the countrie seeming barren and full of ragged mountaines, in most parts, couered with Snow."